My name is Chris Couture and I’m the sole designer, developer and web guru here at Pensacola Web Designs so there is no “We”, it’s just me. Don’t let that detour you from choosing Pensacola Web Designs though, I don’t have the frustration of working with a team of developers and designers and I think that’s a plus and produces a better product, at a lower cost since I don’t have to argue with myself about the direction I want to go and I don’t have to spend time telling someone how I want something done. It all started over 15 years ago in my home office on an online forum for home automation. My home was pretty tricked out and I was helping answer questions people had about how I did some of the automation. One evening I saw a banner ad for Homestead to “build your own website”. Homestead was a place where people could build a free website and I signed up and was off. Since I kept answering the same questions over and over again, I though it would be great to post them online on my own website which I did. 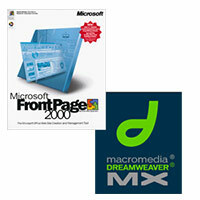 It wasn’t long before I needed that free site to do more than it did and I ordered website hosting and built my first site using Microsoft Frontpage 2000. I quickly found the limits of Frontpage and moved to Dreamweaver. It wasn’t too long after that before the static HTML pages didn’t cut it so I started using Active Server Pages and Access to allow database driven sites. I then discovered MySQL and started building custom web applications, first for myself then for others. As the number of sites I built increased, so did the cost to host them with hosting companies so I started hosting my own sites on my own servers. Pensacola Web Designs started back in 2002 when I had more and more people asking me to build them a website and I figured it was time to make it official. Since that time, I have built hundreds of sites, set up several complete hosting systems to support these sites and have helped many customers with all sorts of IT related things. I always keep learning new technologies and have a network and server systems in my home that are similar to what large hosting companies and business have so I can keep up to date with the latest trends. Understanding How it all Works! 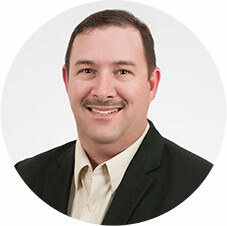 For over 18 years, I have been employed as the IT Manager, Database Administrator and Web Developer for a large company in Pensacola. My daytime responsibilities include managing a network with 85 employees, 26 Windows and Linux servers, developing and maintaining all company web sites, handling all backup operations, managing Active Directory and email systems and much more. Having a full understanding of all aspects of how a web site works with the server helps me select the best hosting package for your site so it runs fast, stays secure and it always online. It’s much more than just setting up hosting with GoDaddy, uploading some files and making a few tweaks to the domain name. In fact, we try to avoid using GoDaddy for hosting unless it’s a very small site because their shared hosting environment just can’t handle the traffic we hope your site will receive. 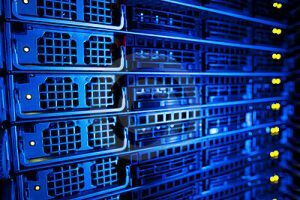 In some cases, I recommend VPS (Virtual Private Servers) for companies with large websites. Knowing how it all works together is key to making sure your site is fast, secure and runs 24/7/365. Designing Web Sites in Pensacola for Over 18 Years!